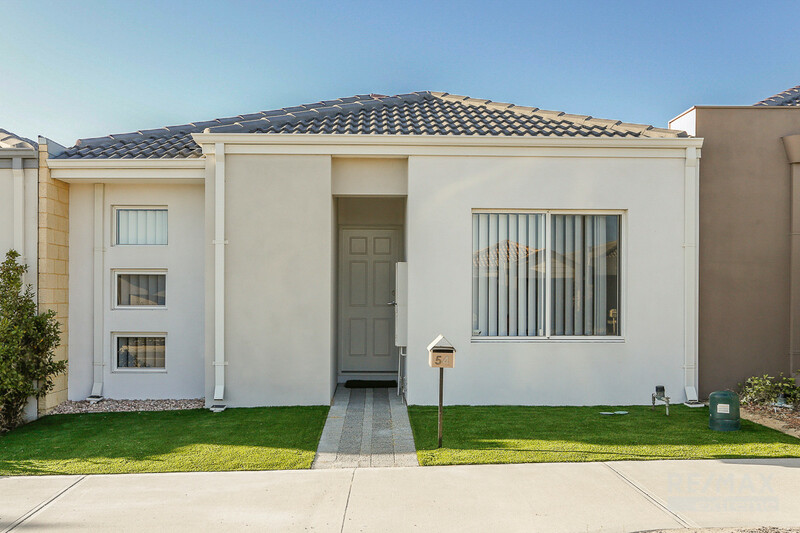 Priced for an immediate sale and freshly painted and landscaped so there is nothing for you to do; this neat & tidy 3×2 urban home is superbly located within walking distance to everything Butler has to offer! 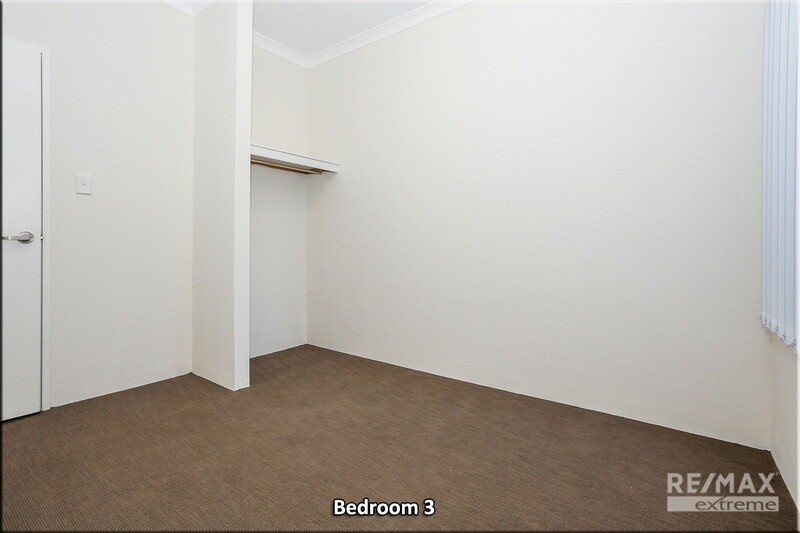 If you’re looking to get on the property ladder this is the perfect starter home! If it’s a retirement pad you need this one will tick all the boxes! If it’s a smart investment this one is unbeatable value! 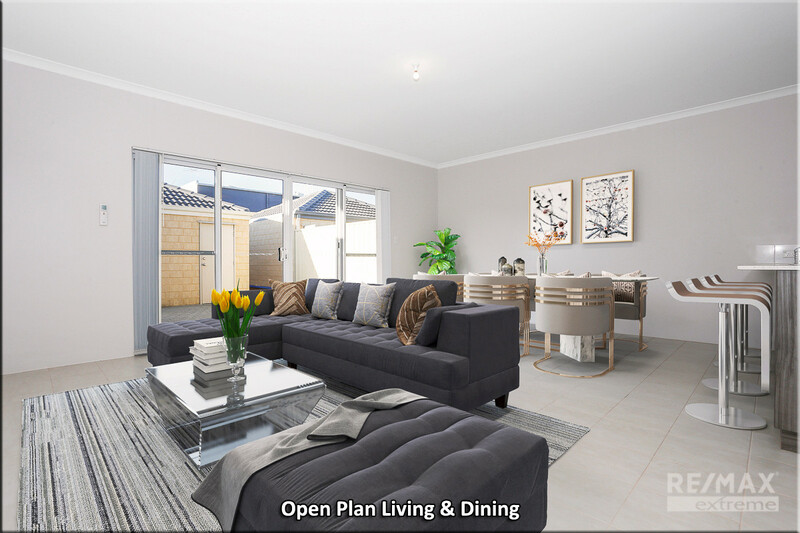 • Located in the prestigious ‘Seahaven’ Estate only minutes to the coast and local beaches, this neat & tidy home is only a stone’s throw away from the Butler trainstation and Brighton Centro shopping precinct! Surrounded by beautiful family parks, shops & schools, this will tick all your boxes! 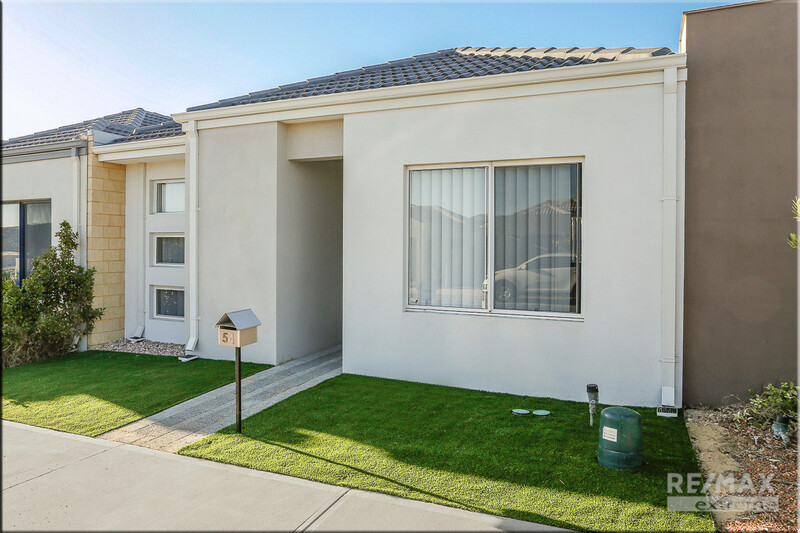 • Perfect for those looking for a low-maintenance blank canvas they can add their own personal stamp to; the brand-new synthetic lawns add a touch of colour and charm to the home without the upkeep of garden maintenance. 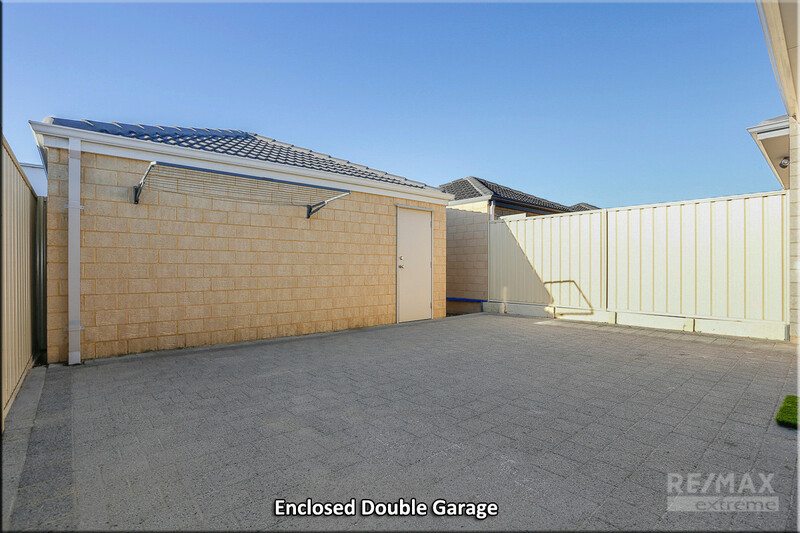 The rear courtyard is safe & secure with an enclosed double garage for parking and storage plus additional car bays at the front of the home for visitors. 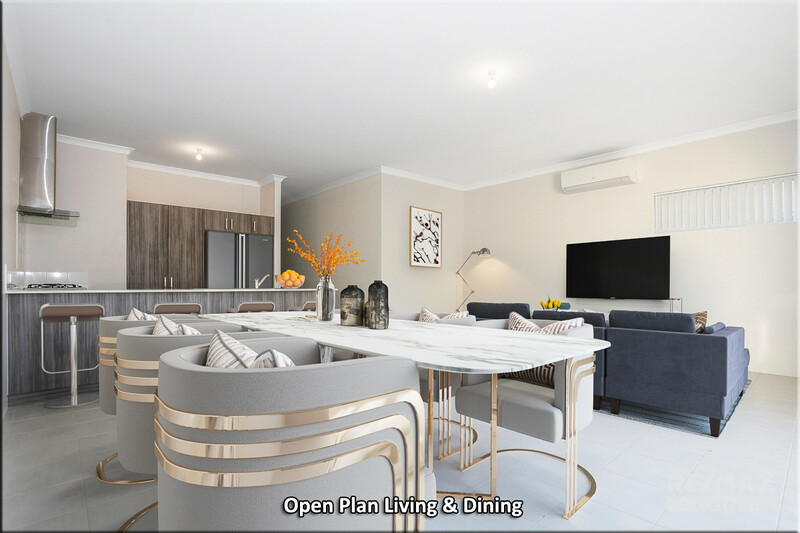 • Boasting fibre-optic internet, instantaneous hot water, reverse-cycle air conditioning and high ceilings throughout, this modern ‘flute’ home is packed full of mod-cons to keep you comfortable and in-touch all year round. 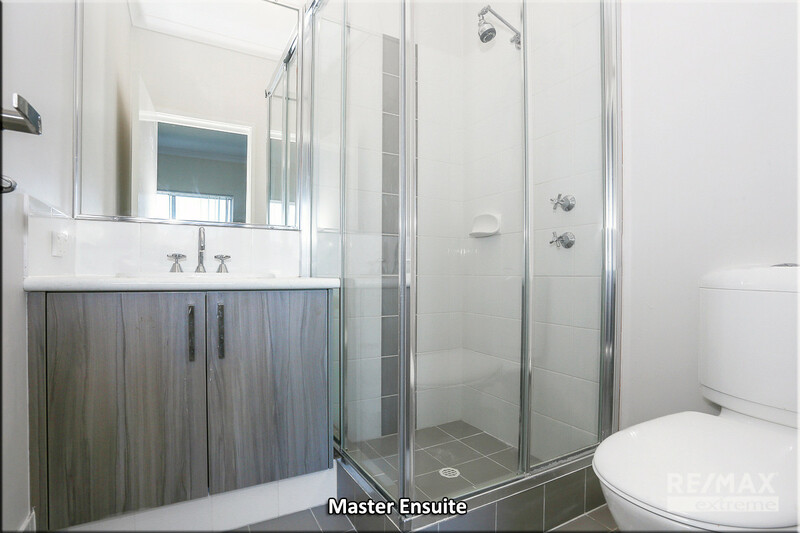 • At the front of the home, the master bedroom is finished with a large walk-in robe, neutral décor and a modern en-suite with glass shower. 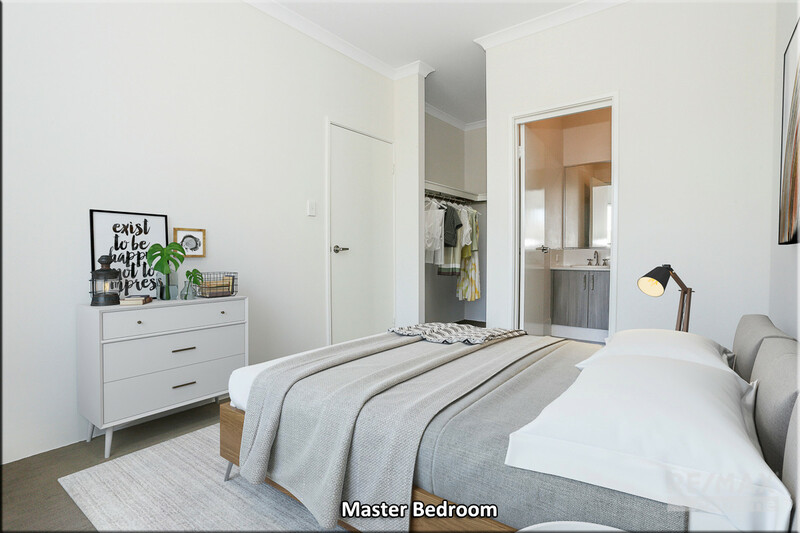 The two additional double bedrooms both have built in robe recesses, vertical blinds, carpets and a neutral finish throughout! 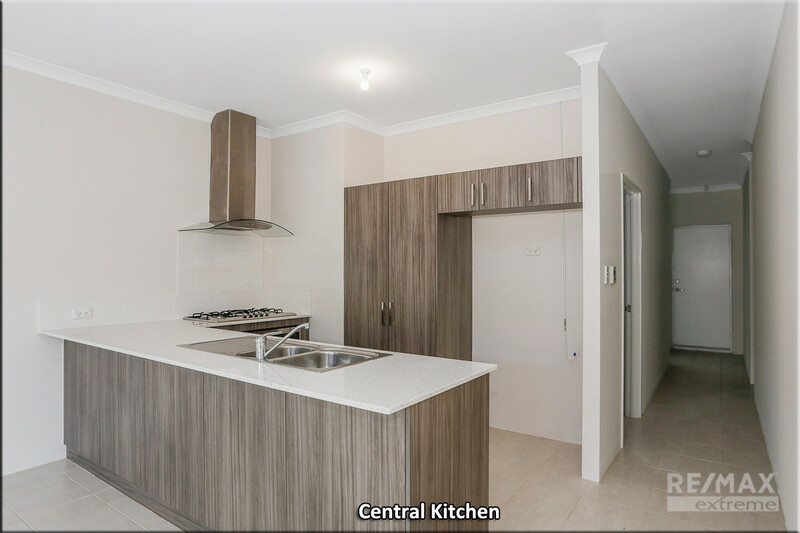 • Positioned at the heart of the home, the gourmet kitchen is complete with 900mm stainless steel appliances + rangehood, ‘Essa’ stone benchtops, double fridge recess (plumbed), pantry + plenty of storage, soft closing drawers and breakfast bar. 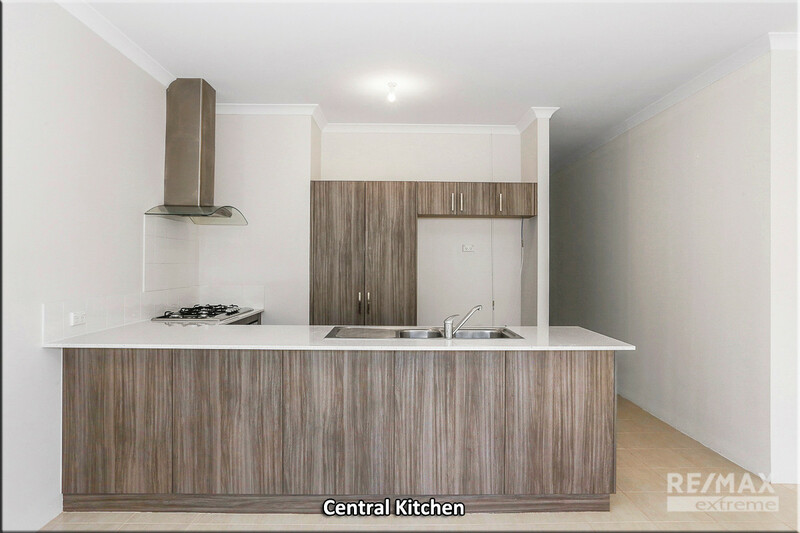 If you like to get creative in the kitchen you won’t be disappointed! 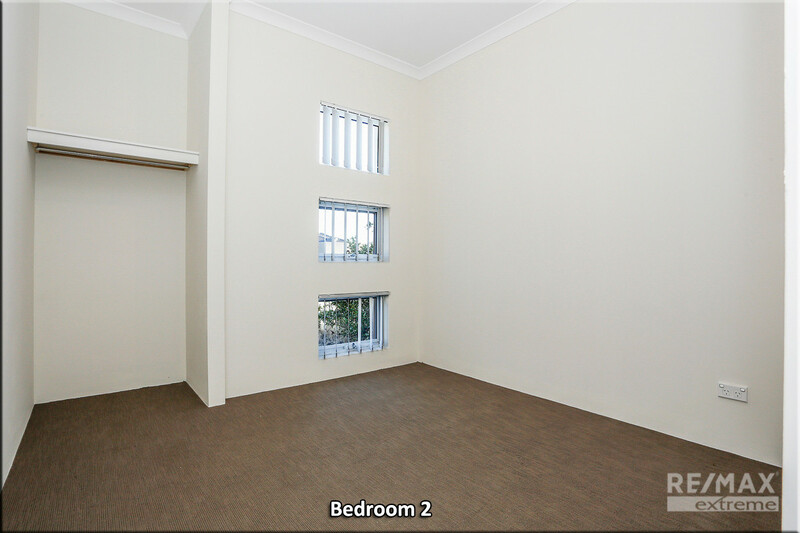 Allowing in plenty of natural light, the bright & airy family room is the perfect place for quality family time & meals! 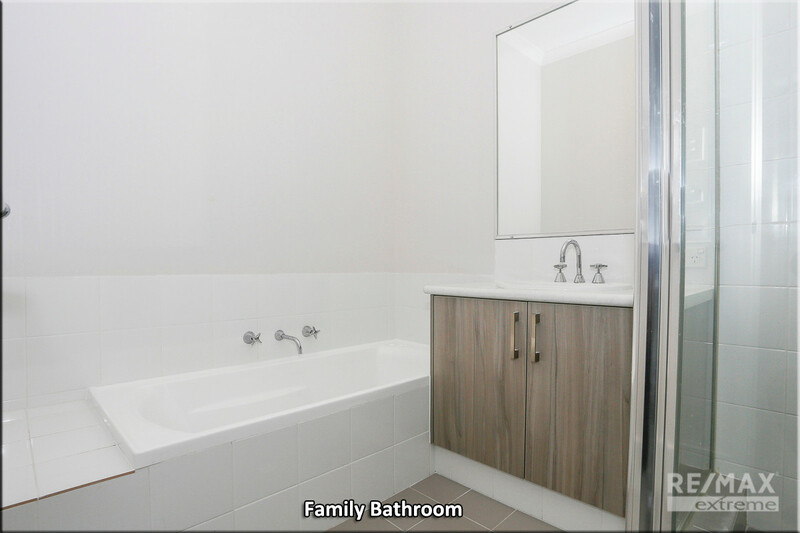 • With an expected rental value of $270-$290/week (conservatively), no strata fees, approximately $800-$1,000 p/a water rates & $1,000 – $1,200 p/a land rates; this property offers an excellent rent return with very little comparable risk. 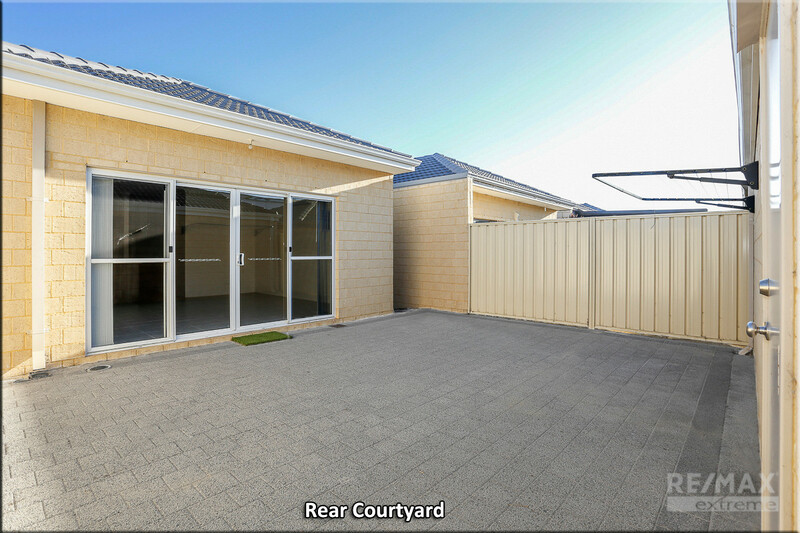 • EXTRAS INCLUDE: Secure double remote garage + street parking bays, laundry + linen, 1x split system reverse cycle air-con, flyscreens throughout, additional TV, Internet and power points, instantaneous hot water, smart wiring and so much more! 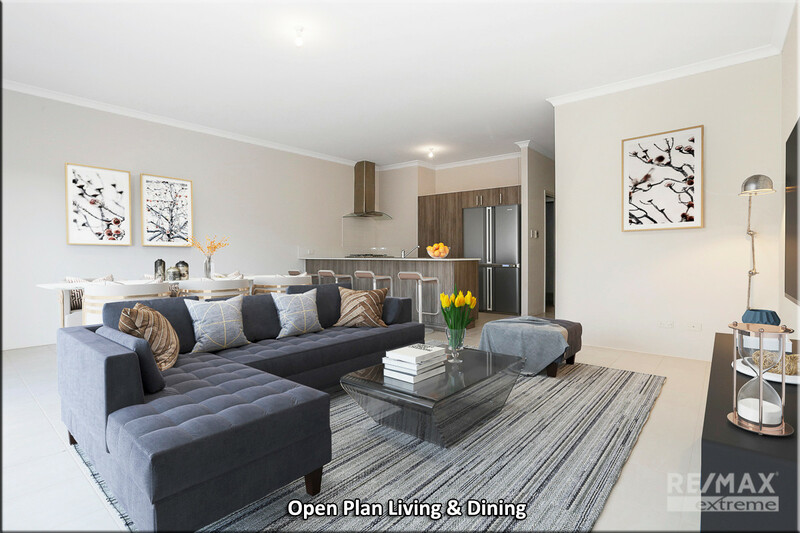 Call The Phil Wiltshire Team to book your private viewing!